INTERIOR DESIGNERS, ARCHITECTURAL DESIGNERS, BESPOKE MAKERS, SHOPFITTERS & SIGN MAKERS IN CHRISTCHURCH, NEW ZEALAND. 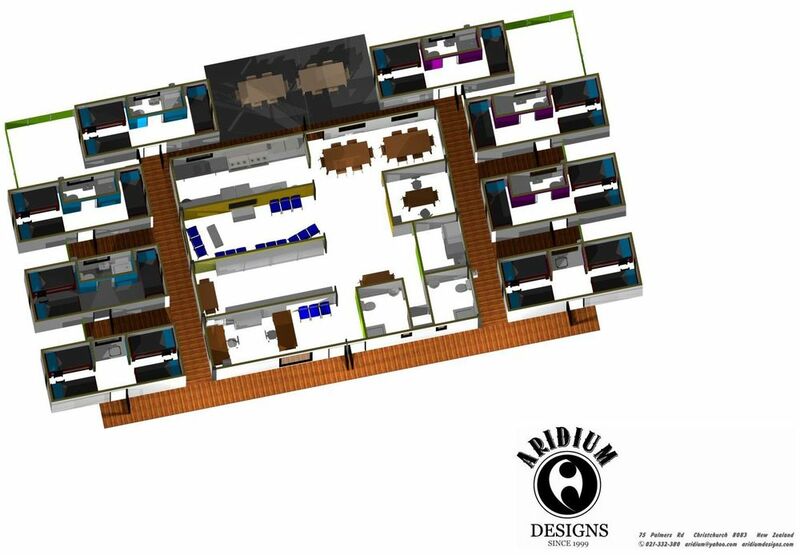 Some of the latest news and ideas from Aridium Designs. We were commissioned to design and supply 2 display podiums to house some of Skellerup's past and present products within their new complex fouyer. Including the boots Sir Edmond Hillary wore to the South Pole! The design, is simulating a shard of a block of ice, fitting for the purpose of its contents to be. A very fun but tricky build, one thing is trying to cut, sand & glue clear acrylic in unusual angles whilst keeping it clean from glue and scratches is a test.... But with a bit of patience and persistance we got there with very happy results both in the clients & our eyes. Recently we were asked to come up with a fast concept to renovate an old dilapidated childrens fort/play hut at a Christchurch Playcentre. We gave the Centre Team 5 different concepts, and this is what they desired... Was all built and installed within a week ready for a function they had planned at the Centre, and were very happy with their new Fort renovation. Once the design was accepted by the client we set underway with cutting out the design in exterior sustainable pine ply and also masking film for the Koru graphics to be spraypainted. We used rough sawn exterior grade timber along with some rusty sheet metal as brackets to create a roof line structure. The metal was cut with a plasma cutter to give a rough rustic look. Christchurch Stands Tall is a mass appeal, large-scale public art event that will celebrate the Christchurch that is rising up and standing tall. For 12 weeks in the summer of 2014-2015 Christchurch’s streets, parks and open spaces (of which we have many!) will be taken over by some unusual visitors… 2.5 metre high giraffes! Not only bringing colour and humour to the city, the individually decorated giraffe sculptures will also raise money for local charities working in the city. The charities who will receive funds raised from the Christchurch Stands Tall auction in February 2015 are now official. We are very proud to be supporting Child Cancer, Life Education Trust, Gap Filler and Life in Vacant Spaces. All exceptional charities doing significant good in the city. 1. Engage local professional artists, community groups and schools and celebrate the creativity of Christchurch. 2. Attract regional and national visitors to the city centre and surrounding areas through marketing and public relations campaigns. 3. Encourage local residents to become a “tourist in their own city”. 4. Increase awareness, footfall and ultimately visitor spend in the city. with the conceptual design for a new innovative approach to house the homeless in Christchurch City. We had just over 24 hours to come up with and execute this design. It will be put in front of a council board tomorrow by the wonderful team at "Help for the Homeless Christchurch. 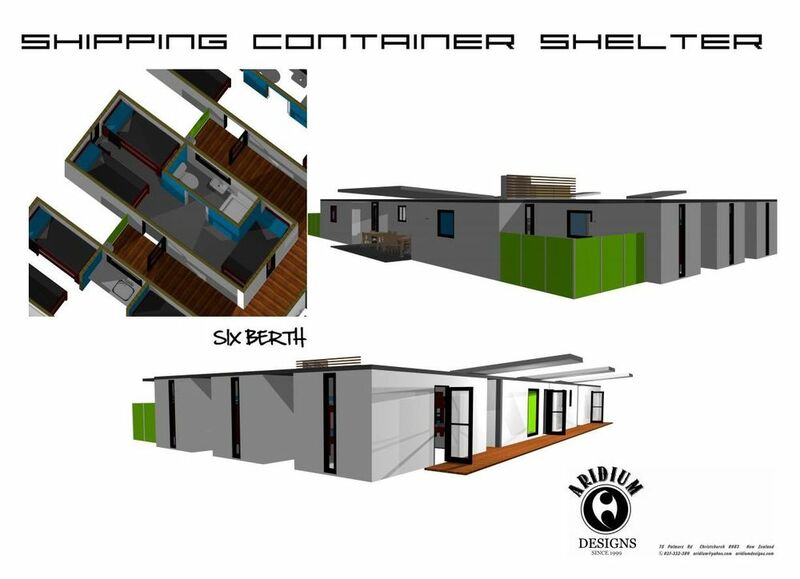 By the use of modular lined Shipping containers and environmentally sustainable materials this will be a quick, easier and comfortable solution to the ever increasing homeless shelter issues our fellow locals are facing. We were awarded the commission to model in 3D the design of a 45m Vehicle Ferry. Although not quite our usual realm of design, was lots of fun neither the less. This process enabled the Marine engineers and Naval architects to stream line the design process. We as an extra service were able to design the most ergonomic, economical and compliant general furniture and fitout arrangements' through the benefit of fly over views and walk through's. It was truly amazing seeing the build process take place and being kept up to date with the progress, thanks to the amazing engineers and ship builders for keeping us up to date. full structure design - finished product for build. Exhaust tower height sizing trials and development. View of see through, to first floor interior/accommodation/wheel house and stair wells. 3d modelling is great for this option to turn on & off components of the design. We were lucky to be able to supply a happy customer with this imagery. We were supplied with a PDF file of their house plans, then with our CAD software we then created a 3D model with their requested Resene & Coloursteel colours. This enabled them to submit images of the Spec House to be built, to real estate advertising and also this site sign we constructed. The bonus of having their house turned into a 3D model gives them and there prospective buyers a great representation of what the end product will look like and can be viewed from any angle you desire. Like a builder's house, a mechanic's car or a gardener's garden we as designers have taken some time to work on our own branding and web site.